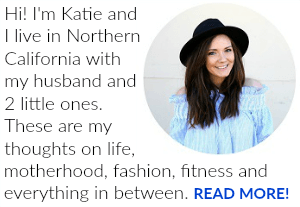 Last Updated: March 9, 2016 By Katie 17 Comments -- Paid Promotion. Disclosure policy here. I am such a snail mail person. Like, creating and ordering our Christmas cards and receiving cards from others is one of my favorite parts of the holiday season and one that I always look forward to. So, obviously I was already thinking about birth announcements long before Sam was even born. And the choice for who to go with was obvious: We ordered from Minted (where we also got our Christmas cards) and they are absolutely beautiful. 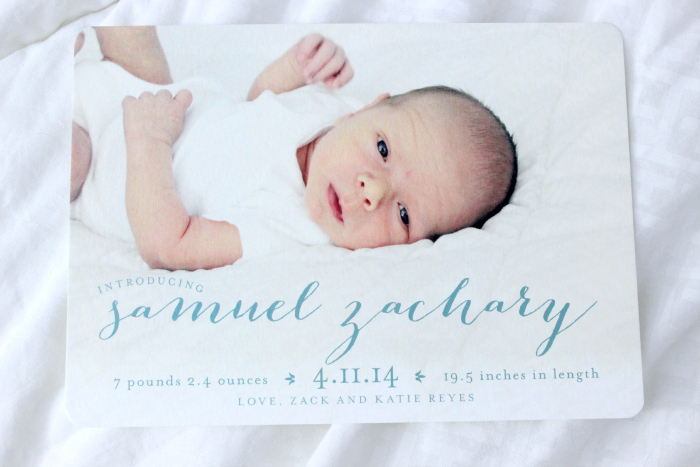 We got Sam’s birth announcements in the mail yesterday, and I couldn’t be happier with them! 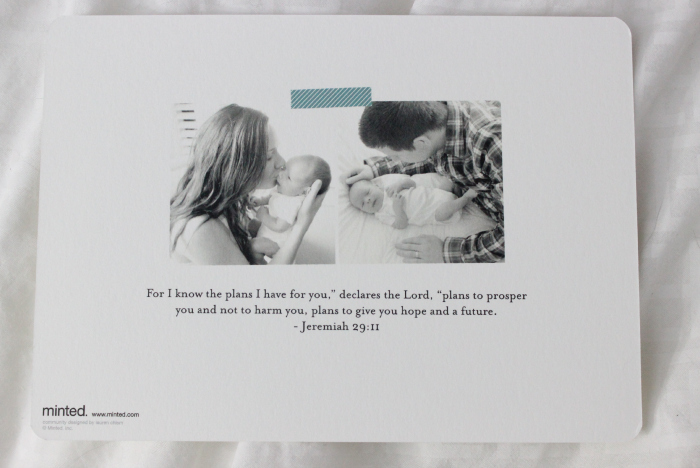 I am a huge fan of Minted- the quality is fantastic and their customer service is on point. You can basically customize any card you see on their site to your liking, and gosh they have gorgeous cards to choose from! 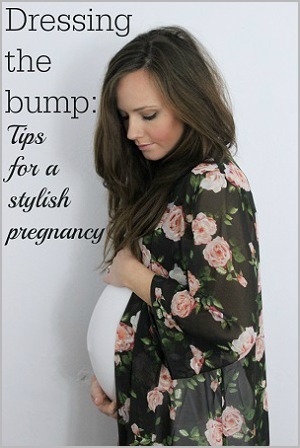 We went with this design, but how cute is this one and this one? They have so many great options, you really can’t go wrong. As for the pictures, we actually took them ourselves, and I’m so happy with how they turned out. It was really hard to pick the one to use on the card, since I’m in love with every picture ever taken of Sam. But, you know, I’m his mom. That’s just the way it is. ;) I also love the back of card, and included one of my favorite bible verses on it. I can’t wait for our friends and family to get these! Where do you order cards from? Do you like sending snail mail? I received cards from Minted but all opinions are my own. 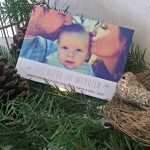 THE MORE THE MERRIER… OUR HOLIDAY CARDS FROM MINTED! 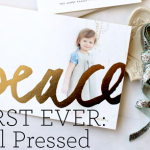 MINTED HOLIDAY CARDS + GIVEAWAY! Oh, Katie – those are darling. You’re family is darling, Sam is darling, you are darling. I just love this. And you. Duh. Next x-mas will be our first one as a married couple! I may do a cute x-mas card because I think I’m becoming a mail person too! Awww I remember being SO excited that first married Christmas!! You HAVE to do a cute Christmas card! I don’t really send snail mail, but I kinda love opening it when I do get it! It’s so perfect! :) I love it. Aww that is so fun! 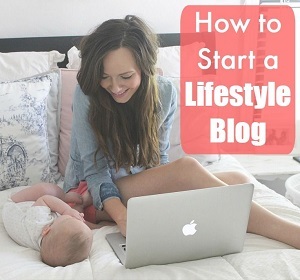 I love that idea :) It’s fun for you and for the recipient- win win! I LOVE these! Such great pictures and such a wonderful design. 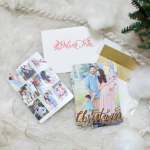 I have never ordered from Minted but have seen so many people who have so I just might have to for our Christmas cards this year! These are beautiful. Samuel is too precious.